Want to know something that would drive massive amounts of traffic to your website almost without fail? Google Featured Snippet boxes. Picture this scenario. You’ve written an article, let’s say about content marketing on a limited budget. 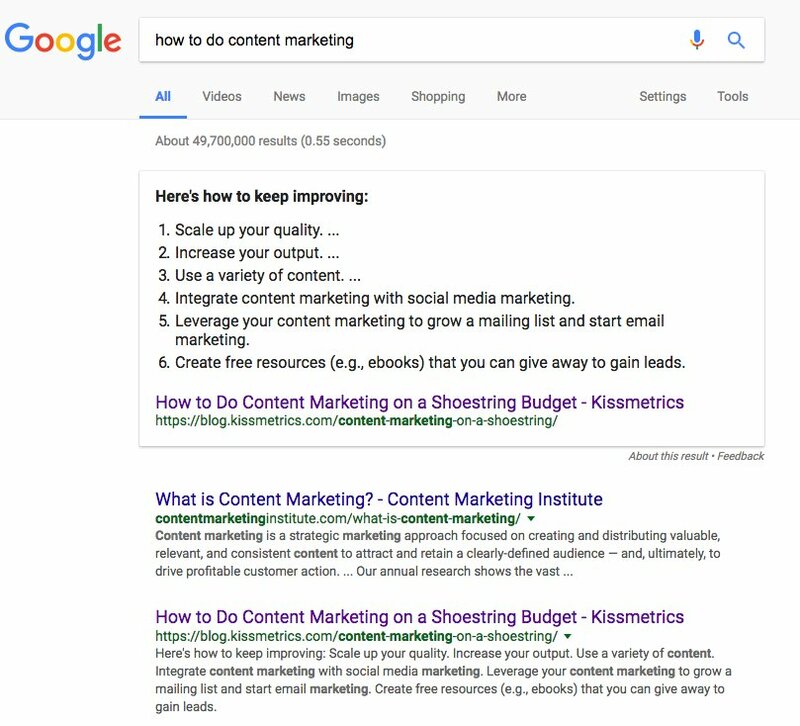 Someone searches for “how to do content marketing” on Google. You’ve probably seen this little box before. It’s called a featured snippet. Most SEOs want to get their site into position #1 (the first organic search result) on page 1. That’s the best possible position for a site to be in, right? Well, if you get a featured snippet, you come before the first ranking. You’re in Position #0! The advantages of a featured snippet are obvious: more clicks, more visibility and a higher conversion rate. It’s an SEO’s dream! How do you get a featured snippet? Well, the fact is, there’s no guaranteed method of getting your page into a featured snippet. Google says that you can’t mark your page as a featured snippet. So, you might as well cross your fingers and hope for the best, right? Not at all. 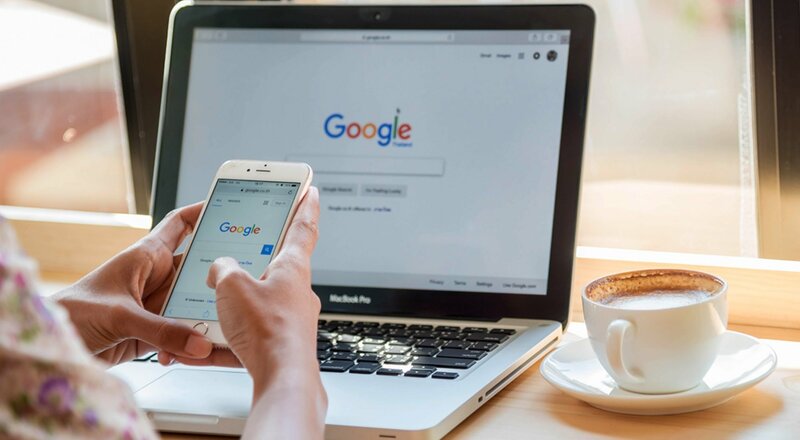 While Google doesn’t have an official process for applying for featured snippets, there’s a lot you can do to get your page in that spot. Before we start, I should say that this is not a surefire method of getting a snippet. Unfortunately, the best you can do is to optimize your pages. But, think about it. You do a little extra work and your chances of being featured go way up. Google purposefully created the featured snippet to help people. So, if you excel at helping people, you could get in the snippet. If your page gets a featured snippet, it will be the first result on the first page for your keyword(s). Only paid ads (if applicable) will be featured above it. Search Engine Land analyzed one site featured in the snippet and the results are astounding. The site had a 516 percent increase in sessions and the conversion rate skyrocketed from 2 percent to 8 percent! If you’re interested, let’s talk about optimizing your content for the google featured snippet. Before we dive into the techniques of optimization, let’s talk about answering questions. If your content doesn’t answer questions, it won’t get into the featured snippet. That’s all there is to it. That’s because featured snippets are programmed to answer questions. In short, Google’s algorithms find the page that seems to best answer the user’s question. That page is then displayed in the snippet to make the user’s life easier. There are two ingredients to find the questions your readers are asking. First, you’ll need a bit of knowledge about search queries. Stone Temple found that 19% of question-based search terms have their own featured snippets. People are literally typing questions into Google. And, answering questions is the whole point of the featured snippet. 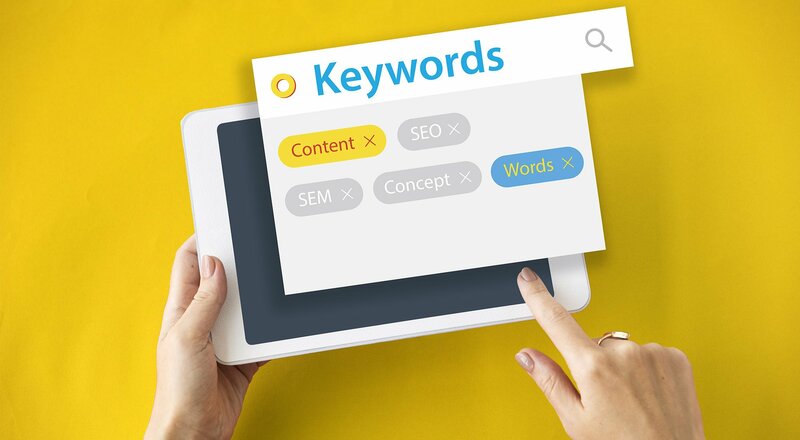 Second, you’ll need a keyword research tool. 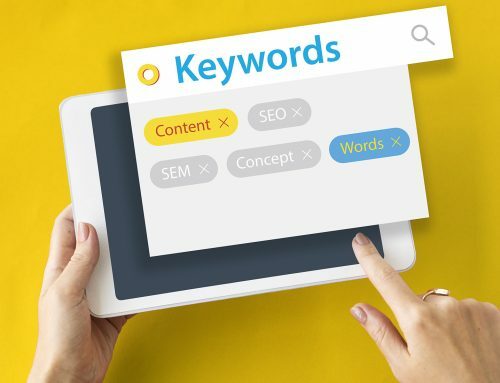 Google’s Keyword Planner, SEMrush and WordStream are all excellent choices. At its core, question research is basically keyword research with these terms added onto the beginning. Do you need to worry about ranking? Google’s official support page on featured snippets states that they take “a top result” for the question keyword and display it. So, it sounds like you need to rank fairly high to have a chance at getting a snippet. 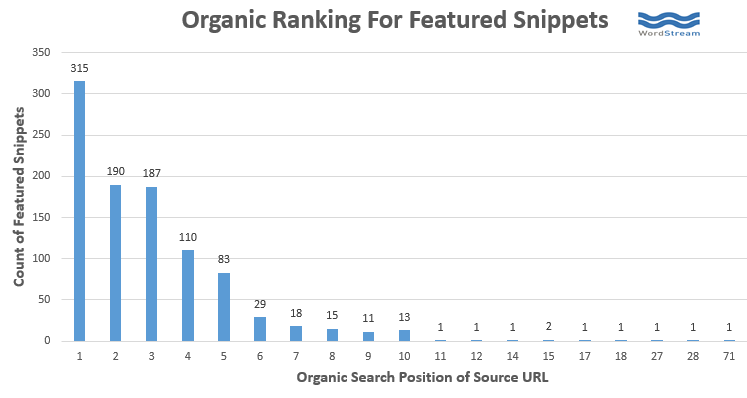 Moz analyzed 981 snippets and noted their rankings. Most of the results were no surprise––70 of the snippets were pulled from positions #1 through #3. So, do you need to worry about ranking? Not any more than usual. Of course, you should definitely aim to get on page 1 and always improve your keyword performance. But, even if you’re not on page 1, you could still get a snippet. The moral of the story: If you’re not ranking highly for a keyword, focus on answering questions as best as you can. It’s possible you could still get that snippet in the coveted position of #0. You know that to get featured in the SERP snippet, you have to answer questions well. So, is that the end of the story? Not quite. It’s not as simple as answering the question and using keywords. There are a few things that you need to keep in mind. First, make sure you answer questions thoroughly and with detail. Whether your article is short or long, it needs to have a high level of detail. Second, consider including a Q&A or how-to section on your site. In short, if you can build a page that answers some sort of question, it has a chance at getting a snippet. Even if your competition has a featured snippet for a keyword, don’t lose hope. Landing the featured snippet position is possible. Google designed the snippet to provide the best answer to a question. If you have that answer, you get in the featured snippet. Right now, you have all of the tools to create comprehensive, detailed answers to questions in your niche. But remember, like many things in marketing and SEO, this isn’t a surefire method. You can optimize your content, but you can’t guarantee yourself a spot in the snippet. If you do optimize your content, you’ll be ahead of most of your competition. It doesn’t hurt! Make this optimization process a regular part of your content marketing strategy and you just might see one of your pages sitting in the featured snippet box sooner than you think. Are you going to aim for the featured snippet?